Despite the publication of the Lead and Copper Rule in 1991, compliance is still a major challenge. Because of this and other water quality issues that affect water distribution systems, there is a need for an alternative protocol for obtaining representative water samples and a need for approaching water quality information in a methodical manner. 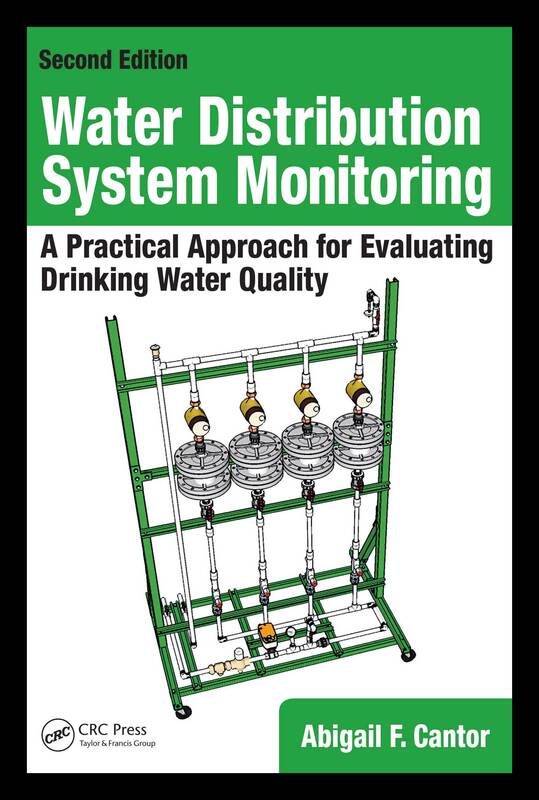 This book explores such procedures and a monitoring device - already in use at many municipal water utilities around the country - that provide more representative and standardized water chemistry and microbiology data than by using other available methods. It has been eight years since the first edition of Water Distribution System Monitoring book and that is eight more years of honing the techniques in actual water systems. This book is truly a step-by-step approach for all water systems to pave a path toward high water quality drinking water. The book can be ordered from many on-line book stores, including the publisher's at www.CRCPress.com. A new report from the Water Research Foundation (WRF) challenges common understandings of lead control in drinking water. The research finds that federal Lead and Copper Rule compliance in public water systems is best maintained through a comprehensive approach, rather than focusing on two common techniques of lead control advocated by the national drinking water regulations. The WRF released the findings of Project 4586, Optimization of Phosphorus-Based Corrosion Control Chemicals Using a Comprehensive Perspective of Water Quality in November 2017. In addition to the Water Research Foundation (Denver, CO), the research was sponsored by the Water Environment & Reuse Foundation (Alexandria, VA), and eight anonymous drinking water utility entities. The report is available for free to the public as a pdf file from the Water Research Foundation website. Written by A.F. Cantor, P.E., chemical engineer, head of Process Research Solutions, LLC, in Madison, Wisconsin, the 39-month study determined that water utilities should not focus on orthophosphate addition or pH and alkalinity adjustment to control lead and copper concentrations in drinking water, but should broaden their approach to include routine infrastructure improvement, ongoing water biostability improvement programs, and ongoing tracking of water system data and information. The goal of the project was not to tear down institutional concepts, but to build up a larger perspective — to look at lead and copper release more comprehensively, to treat the problems and not the symptoms, and to add more tools to the toolbox. This booklet is a resource on microbiologically influenced corrosion as it occurs in plumbing systems of buildings. The book covers understanding, prevention, and remediation of the resultant water quality and pipe integrity problems. To Plumbing and Building Contractors: There are many new plumbing systems with discolored water, high lead and copper concentrations in the water, holes in copper pipes, and quickly corroding hot water tank anode rods. This mostly occurs from modern plumbing designs that unintentionally promote the growth of microorganisms. This booklet is for you so that these issues will be understood and taken care of properly. Help prevent the future from being filled with ruined plumbing systems, angry property owners and liability lawsuits. To Municipal Water Utility Managers: The future revision of the Lead and Copper Rule, with a new focus on copper, will probably result in the water utility carrying the blame for the high copper situation in many new plumbing systems. This booklet will explain how you can make sure and document that the municipal water system is not part of the problem. Don't get blamed for ruined plumbing systems! PURCHASING the Booklet, "What's Bugging Your Pipes"
Check your favorite Internet book stores for their e-reader app. Free Amazon Kindle eBook reader for Kindle type eBook files. There are a number of other eBook sites with this book available. Abigail F. Cantor (2018). Water Distribution System Monitoring: A Practical Approach for Evaluating Drinking Water Quality. Second Edition. Boca Raton: CRC Press. Abigail F. Cantor (2017). Optimization of Phosphorus-Based Corrosion Control Chemicals and Flushing for Lead and Copper Control (Project #4586). Denver: Water Research Foundation. Abigail F. Cantor and Rob Spence (2013). 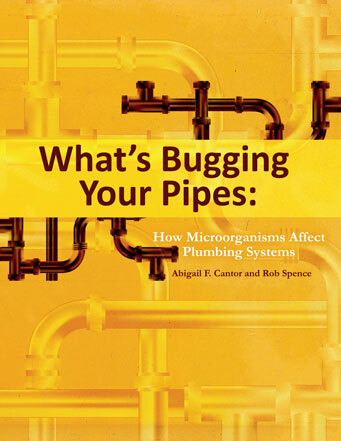 What’s Bugging Your Pipes: How Microorganisms Affect Plumbing Systems. Madison: Process Research Solutions, LLC. Abigail Cantor, Barry Maynard, et. al. (2013). Assessing Risk of Lead and Copper Consumption from Drinking Water (Project #4415). Denver: Water Research Foundation. Gregory Welter, Daniel Giammar, Abigail Cantor (2013). Galvanic Corrosion Following Partial Lead Service Line Replacement (Project #4349). Denver: Water Research Foundation. Abigail F. Cantor (2009). Water Distribution System Monitoring: A Practical Approach for Evaluating Drinking Water Quality. Boca Raton: CRC Press. Anne Sandvig, Pierre Kwan, Gregory Kirmeyer, Barry Maynard, David Mast, R. Rhodes Trussell, Shane Trussell, Abigail F. Cantor, and Annette Prescott (2008). Contribution of Service Line and Plumbing Fixture to Lead and Copper Rule Compliance Issues (Project #3018). Denver: Awwa Research Foundation. Abigail F. Cantor (2006). “Diagnosing Corrosion Problems by Means of Metals Fractions”, Journal of the American Water Works Association 98:1:117. Abigail F. Cantor, Jae K. Park, and Prasit Vaiyavatjamai (2003). “Effect of Chlorine on Corrosion in Drinking Water Systems”, Journal of the American Water Works Association 95:5:112. Abigail F. Cantor, David Denig-Chakroff, Richard R. Vela, Mark G. Oleinik, and Daniel L. Lynch (2000). “Use of Polyphosphate in Corrosion Control”, Journal of the American Water Works Association 92:2:95. Abigail F. Cantor (2015). “Optimization of Phosphorus-Based Corrosion Control Chemicals using a Comprehensive Perspective of Water Quality" Proceedings of the American Water Works Association 2015 Water Quality and Technology Conference. Abigail F. Cantor (2014). “Theoretical Lead and Copper Release into Drinking Water versus Reality.” Proceedings of the American Water Works Association 2014 Water Quality and Technology Conference. Abigail F. Cantor (2011). “The Lead and Copper Rule: Proactive Detection and Response Are Key to Compliance.” Opflow (37:1:14). Abigail F. Cantor (2010). “Proactive Detection and Response to Lead and Copper in Drinking Water.” Proceedings of the American Water Works Association 2010 Annual Conference and Exposition. Abigail F. Cantor and Judith Cantor (2009). “In Dr. Deming’s Footsteps: Distribution System Water Quality Control and Process Improvement.” Proceedings of the American Water Works Association 2009 Water Quality and Technology Conference. Abigail F. Cantor (2008). “Pipe Loop on Steroids! A New Approach to Monitoring Distribution System Water Quality.” Proceedings of the American Water Works Association 2008 Water Quality and Technology Conference. Abigail F. Cantor (2006). “Report on Lead Service Line Replacement AwwaRF Study”, Proceedings of the American Water Works Association 2006 Water Quality and Technology Conference. Abigail F. Cantor, James B. Bushman, Martin S. Glodoski, Eric Kiefer, Randy Bersch, and Hank Wallenkamp (2006). “Copper Pipe Failure by Microbiologically Influenced Corrosion”, Materials Performance 45:6:38. Abigail F. Cantor, James B. Bushman, and Martin S. Glodoski (2003). “A New Awareness of Copper Pipe Failures in Water Distribution Systems,” Proceedings of the American Water Works Association 2003 Annual Conference and Exposition.